Former BYU women’s basketball player Melanie Pearson Day got horrible news in 2013. In 2014, she was declared cancer-free, but the disease reared its ugly head shortly thereafter. In January 2016, the doctors determined the cancer was terminal. Pearson Day explained once the initial shock wore off, she struggled with depression for the first part of 2016. Pearson Day’s friends helped her see that her children would be able to not only get through this, but they would be stronger because of it. Pearson Day created a blog to document her struggles and journey with the disease called FiveYearsToLive.org. One of the stories on her site is a bucket list — a wish list of things she’d like to accomplish. At the top of that list was a goal to attend a Duke-North Carolina game in Durham at Cameron Indoor Stadium. When BYU women’s basketball coaches heard about her dream, they tried to make it happen. 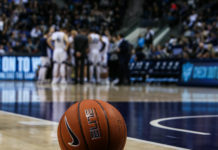 As impossible as it seemed, BYU women’s basketball coach Jeff Judkins and the entire women’s basketball team worked to make it possible. 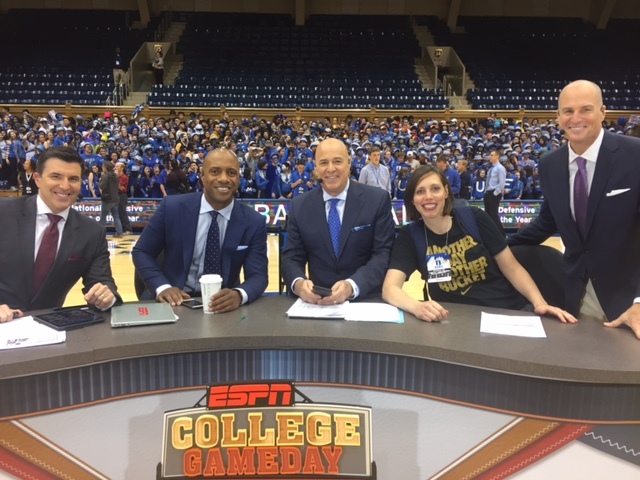 Judkins wrote to Duke men’s basketball coach Mike Krzyzewski and women’s basketball coach Joanne McCallie, hoping they could help Pearson Day’s dream come true. 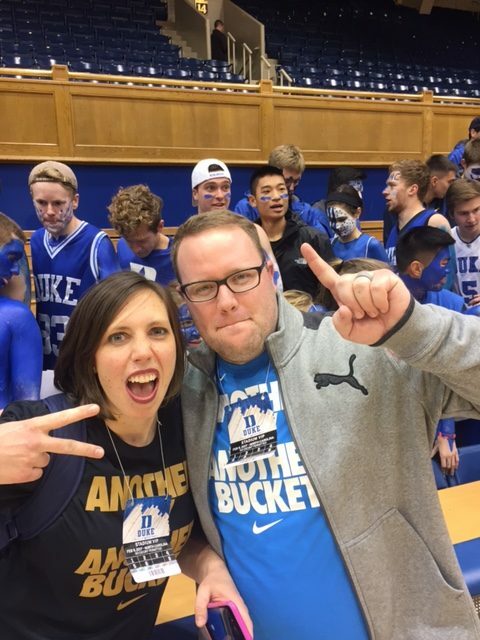 Duke provided two tickets for Pearson Day and her husband, Preston Day, to attend the top 20 matchup on Feb. 9. 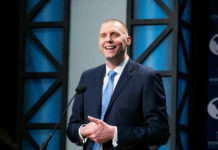 The BYU women’s and men’s basketball coaches, players and staff members contributed their own money towards the couple’s flight and hotel. Melanie and her husband traveled to Durham to see the big match-up and she said it was even better then she expected. 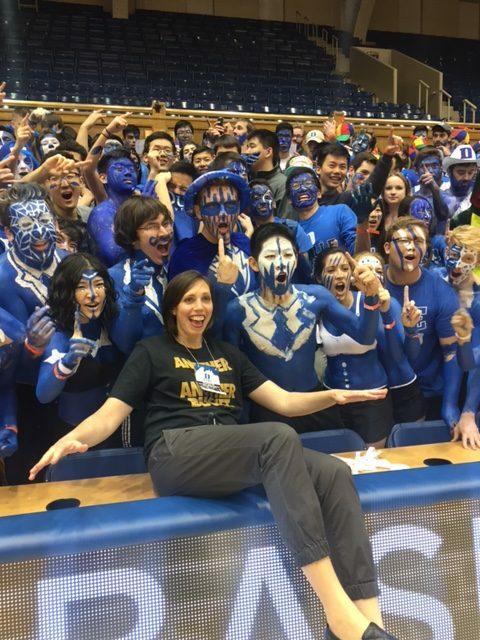 She thought they were only going to attend the game, but Duke and UNC took the couple on a tour of the facilities and allowed them to attend practice to meet the players of both teams. They were on the court until five minutes before tip off and enjoyed every minute of the game. Judkins explained Melanie was a great player at BYU in 2001-2002 and remains a great example for the team. 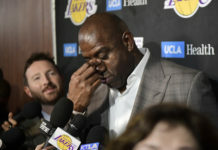 Melanie said she continues to find joy in her life by teaching her children everything from basketball skills to eternal principles with her husband in their home in Lehi, Utah.